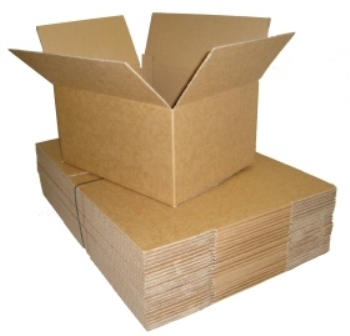 5 x Single Wall Cardboard Postal Boxes 12"x9"x9"
10 x Single Wall Cardboard Postal Boxes 12"x9"x9"
25 x Single Wall Cardboard Postal Boxes 12"x9"x9"
50 x Single Wall Cardboard Postal Boxes 12"x9"x9"
100 x Single Wall Cardboard Postal Boxes 12"x9"x9"
200 x Single Wall Cardboard Postal Boxes 12"x9"x9"
500 x Single Wall Cardboard Postal Boxes 12"x9"x9"
1200 x Single Wall Cardboard Postal Boxes 12"x9"x9"
In this section you will find size 12x9x9" (305x229x229mm) single wall cardboard boxes in various quantities/pack sizes. Perfect for small items, A4 documents, leaflets etc. Most commonly used in the printer industry as well as by on-line sellers for sending small products (eg nutritional products, gifts etc). These have an A4 size base (12x9") and are 9" high.